A structured wiring system works similar to a traditional electrical wiring system. 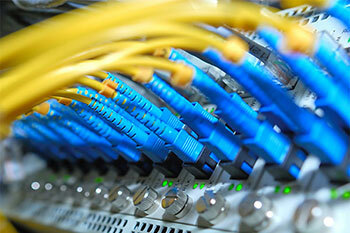 All data lines for your dedicated equip ment and networking needs are connected directly to a central control panel that splits the signals and sends them to multiple areas in the house via high-performance cabling. These lines run to multimedia outlets placed throughout the home for easy connections. A second cable line carries the signal back to the control box, allowing that signal to be amplified all over the home. 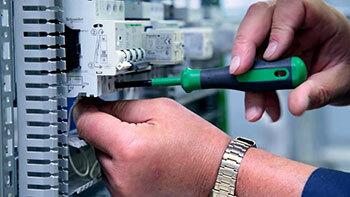 One of the advances in this type of system is the configuration in which the wiring is set up. Each cable run goes directly from the control box to the outlet, eliminating old setups where wires would run from one location to the next to the next as the signal quality deteriorated toward the end of the line. Structured wiring offers many advantages to both home & business owners and is tailored to today’s technology-savvy world. This type of system essentially coordinates all your systems, allowing you to, for instance, play a DVD in one room and watch it from any TV, or place security cameras inside or out and monitor them from any TV or computer. It even makes automation technology possible, so you can operate various equipment & systems from almost anywhere and even remotely online. Many experts credit this type of system with making homes “future ready,” or better able to handle future technologies as they develop. Structured wiring is becoming a normal addition to all new buildings. It’s not surprising that structured wiring can increase the value of your home. Today’s technology requires proper wiring to work correctly. For more about structured wire for your home or business complete our online request form. For the fastest response call us today at (239) 433-0939.